It was with a mixture of nervous excitement and apprehension that I purchased tickets to see English indie rock quartet Alt-J; I’ll admit, I was more than a little creeped out when I found out what their song “Breezeblocks” was really about (click on this if your curiosity is getting the best of you), and then got even more creeped out when I watched the video for it on YouTube. I really enjoy their music though, and my curiosity got the better of me. I bought tickets to see them at The Ryman. I have seen several shows there, always in the balcony. 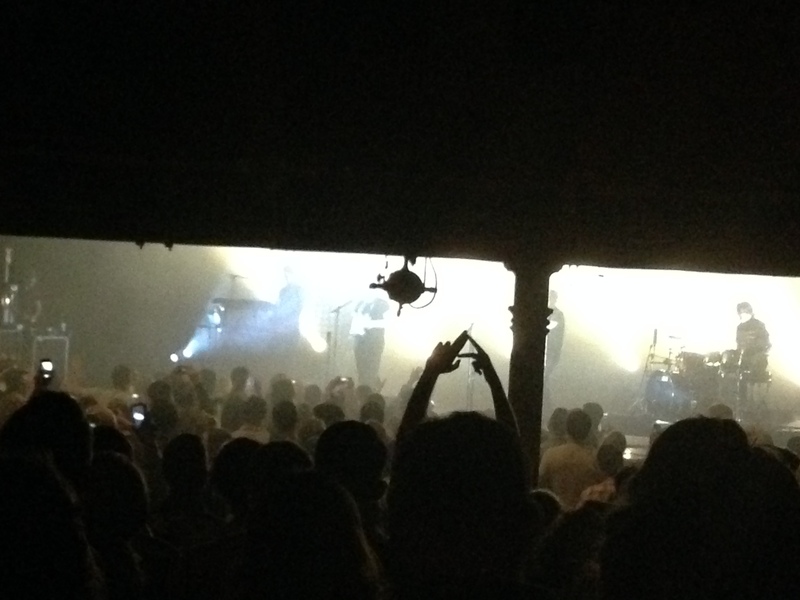 I saw that tickets for the main floor were available for Alt-J, so I thought, “main floor! I’ll take ’em!” Months go by, it’s concert time, and my friends and I roll into The Ryman; our seats ended up being on the main floor under the balcony, seriously terrible seats. Bad. Just awful. And there was a support pole in the way too. Not to mention the human cigarette reeking beside me and the NFL offensive lineman with the globe-sized noggin standing right in front of me. I was quickly losing my optimism when the opening act took the stage…. 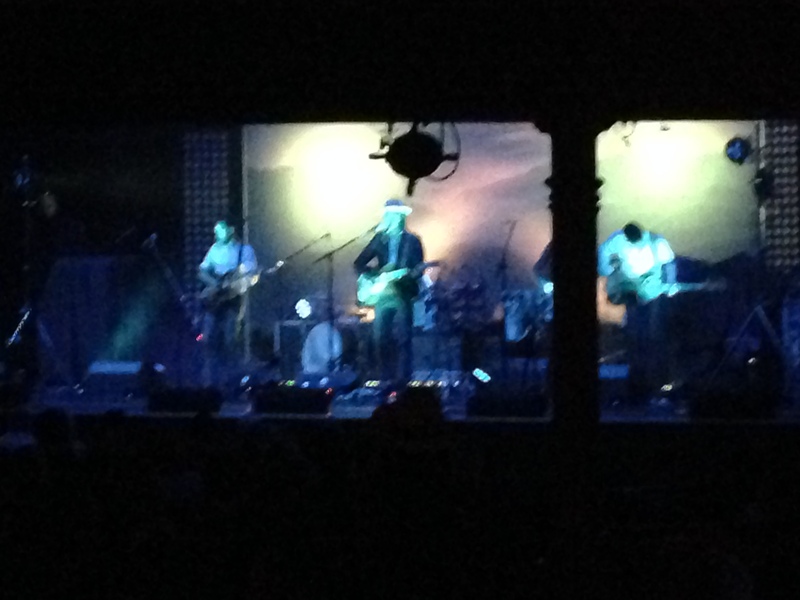 Ladies and gentlemen, meet Lord Huron, an indie/folk fivesome from Los Angeles by way of Michigan. This band had been on the outskirts of my radar for a little while; I had listened to their music, but hadn’t quite gotten “into” it yet. 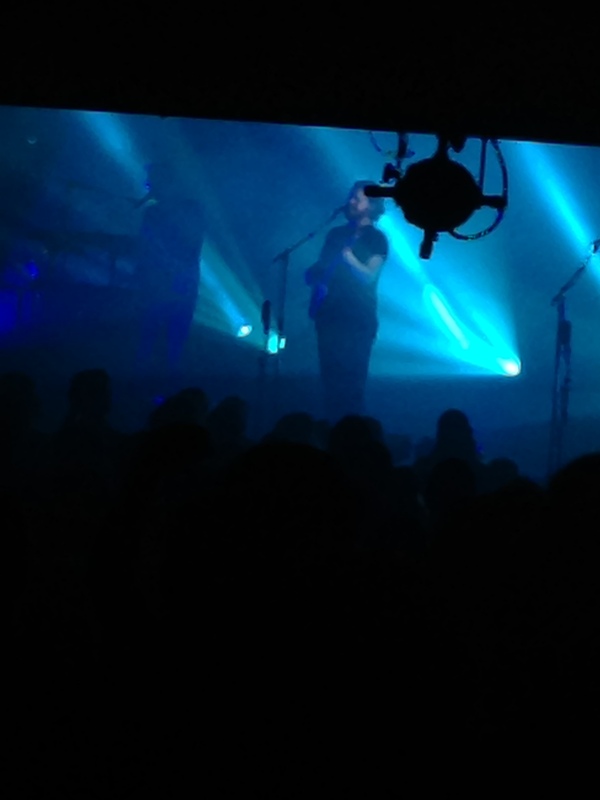 I was there for Alt-J, but was very excited to see Lord Huron perform live. On a side note, I usually pay attention to album cover art, but had neglected to notice the art for the Lonesome Dreams album. This might seem strange, but bear with me….with lyrics such as “it’s time to run/they’re gonna string me up for all that I’ve done,” their music sounds like an outlaw riding an old horse through a desert. On a clear and starry night. Somewhere within earshot of Mexico. Which the album cover art captures perfectly. The stage was dimly lit, and the light show consisted of a light pole with one light that changed colors–smokey blues, greens, and yellows. They were all so busy– I couldn’t keep my eyes off of them. Busy, you ask? Allow me to explain. As of late, I have noticed that lead vocalists have taken on the role of auxiliary percussionists; Dan Reynolds of Imagine Dragons is a prime example (he’s always banging on some kind of drum, whether it’s on the actual stage or hanging from the ceiling above it). Lead vocalist Ben Schneider shakes a collection of brassy bells on a chain with one hand and is gripping drumsticks for his other role as supporting drummer, while bassist Miguel Briseno is jangling what looks like a chain of skeleton keys for the introduction of bouncy toe-tapper “We Went Wild.” The bassist also does double duty playing maracas, shaking chains of beads, and there is definitely somebody playing chimes in there. The music is energetic and captivating, and the band possesses such an elemental cohesiveness that it’s hard not to enjoy listening to them. When they played “Time To Run,” one of my favorites, the whole audience was on its feet dancing and I could feel the floor shaking under my feet. 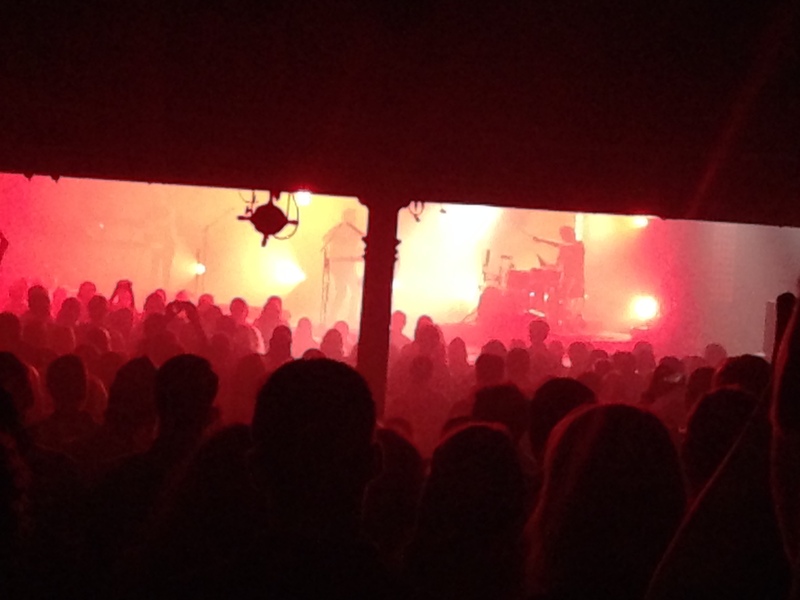 The crowd was in love, and after an encore and a last song that had about four endings. Ben Schneider picked up a coffee mug, raised a toast to the audience, and Lord Huron left the stage. I could have listened to them all night long. After a brief intermission, the darkened stage lit up with white light and thick smoke; four shadows emerged from the wings, and took their places, as audience members raised their hands, their fingers forming triangle shapes (for the uninitiated, when you press the “alt” key and the “j” key at the same time on a Mac keyboard, you get this: ∆, the band’s actual name). The unique Alt-J sound translates really well into a live performance, which was surprising to me. I also noticed that drummer Thom Green’s set is cymbal-free. I was intrigued by this. When I thought about it though, it made perfect sense, because the sound of cymbals would be terribly disruptive to their music. They played all my favorites from their Bristish Mercury Prize-winning LP An Awesome Wave, “Matilda,” “Tessellate,” “Fitzpleasure,” and “Breezeblocks,” which I did anticipate. What I didn’t anticipate was their hypnotic effect on the audience; from the moment they took the stage, the whole house was in a trance. The light show was an impressive and integral part of their performance; I would look around at the crowd, who was awash in the ghostly light, swaying together, in time with the music, singing along. Before I knew it, the show was over. But, thankfully, I survived (see my earlier-mentioned apprehension). Things I learned from from this experience: 1) NEVER buy seats under the balcony at The Ryman. Never. 2) Don’t assume that a band on a national tour will bring enough t-shirts to sell in your size and wait until after the show to try to buy one. 3) Music is such a powerful force that it transcends terrible seats, smokey folks, and big dudes with humongous heads. ← WHAT WERE YOUR SONGS OF SUMMER? Awesome article!!!!! I love your writing.